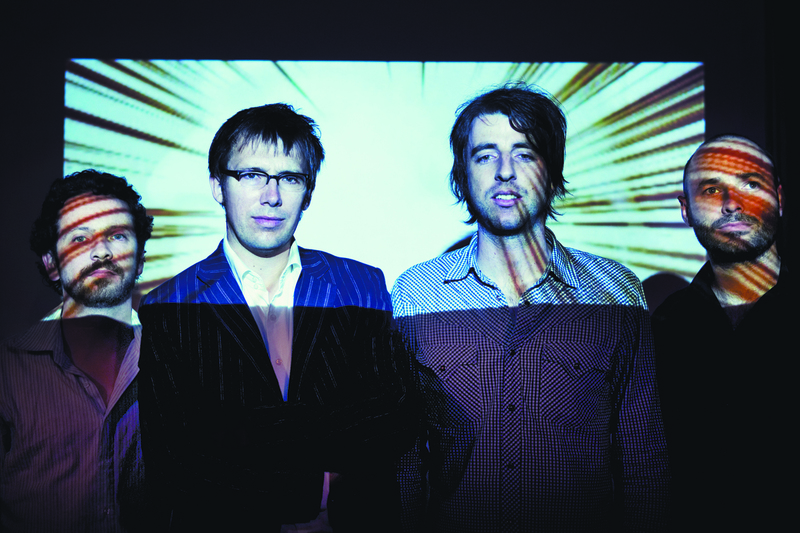 78 Saab will be playing a special show back where it all started – Canberra on Monday March 11. Also on the bill will be The Church and reformed Canberra bands such as The Gadflys, The Falling Joys and Machine Translations. After 15 years, 350 shows and less than a million album sales, 78 Saab are calling it a day. They can blame no one but themselves for either their longevity or their demise and will commemorate the moment with one last very special show at their spiritual home, The Annandale Hotel on December 1. 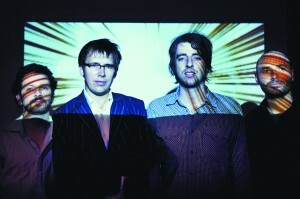 Over their career 78 Saab have earned a reputation as a band that have delivered both live and in the studio without fail. Strongly committed to their craft, they have always played and written for their sheer love of rock and roll and the friendships that have been created and sustained over their life as a band. It is a rare thing when a combination of chemistry and talent combines in such a way to create an entity such as Saab and anyone who has seen them live can attest to their ability to teleport the listener out of the room via their imagination and the physical power of their unique guitar driven rock and roll. To coincide with Saab’s farewell, debut album ‘Picture A Hum, Can’t Hear A Sound’ & eps ‘Eastwards By Removal’ & ‘Hello Believers’ will be available online for the first time! Coming soon to itunes. It’s The Annandale’s 12th Birthday and on Saturday July 14th their close friends will join them to celebrate the good old days with a venue wide party kicking off at 3pm. 78 Saab will be joining Tumbleweed, Front End Loader, Smudge and Raise The Crazy. It’s not every day you see a lineup like this for a single gig and there’s still some very special guests to announce! This will be the last birthday show in The Annandale Hotel as you know it. With renovations already underway and continuing throughout the rest of the year it won’t be long until people are walking into a new look hotel. Everyone who is part of the Australian music scene has spent many nights at the famous venue and that is why owners Matt & Dan Rule want to send off the old bird with a look back to the good old days and those bands that have played here countless times and become part of the most loyal and hard working music venue in Sydney. The Annandale hopes to see you down at the show to celebrate Auld Lang Syne – endings and new beginnings. AULD LANG SYNE (The Good Old Days) feat. 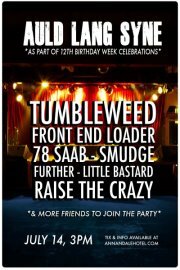 TUMBLEWEED + FRONT END LOADER + 78 SAAB + SMUDGE + RAISE THE CRAZY & many more friends to join the party.